Tetris Company is still at it..
A long time ago I wrote a Tetris game. See my old articleto read about it all. Lets say that ultimately my game is still available and I have had no further action taken against me. 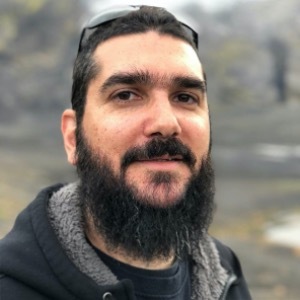 "I wrote my own interpretation of tetris (called Kafablo - instructions and gameplay movie here) for the iPhone because I didn't see any available tetramino games that I liked. In the time it took me to write it I've seen how all the unofficial tetris games get yanked, but since I'd put a fair amount of work into it and my game control scheme is (I think) unique, I went ahead and released mine a couple weeks ago. Sure enough, the lawyers came knocking - now even if I chose to dispute the legality of their claim of copyright infringement, that would take a long time, and Apple (rightfully so) won't keep anything on the App Store that puts them in a position of jeopardy. So I have to take it down. Another win for the lawyers, another loss for creativity, freedom of expression, and competition! If you want a better tetris, too bad! The"Kafablo" game on apple.com violates the copyright in the Tetris game because it is a copy of our client's game and was created and are being reproduced and sold on your web site without our client's prior permission or authorization. I can't comment on the other games, but I know mine at least differs from any official tetris: different controls, different sounds, different graphics, completely different name. I'm not sure what they claim to be copyrighting, but that's a subject for further research." 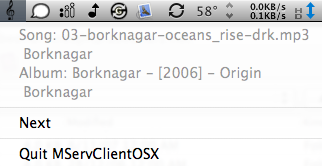 Following closely from my first OSX application (MServClientOSX), I have finished up version one of porting it over to the iPhone. The guts of the code compiled over without any issue, so all I had to do was implement the different UI. This doesn't contain the browsing or queuing support that MServClientOSX does - but it allows viewing the currently playing song, skipping to the next song and adjusting the volume. 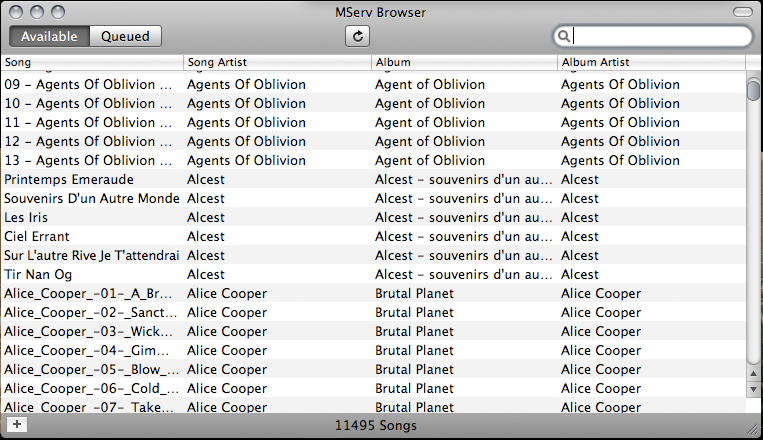 MServ Client for iPhone is a client for the MServ music jukebox server for common area music playing. You can download it from the AppStore by clicking here. Download MServClientOSX 0.80 and copy to your applications folder. On Monday, I succumbed to the iPhone. I certainly haven't been disappointed - it makes my old windows mobile (running wm6.1) feel like a 386 with windows 3.1. So this post is being written on it with the wordpress app - really just because I can. It really is the device I've been wanting for the last few years and it has completely lived up to the hype for me. More Apple KoolAid down my hatch. Since we develop Windows applications at work, its now starting to become more common for clients to be running Vista. We found our first compatibility issue last week - performing ICMP pings that worked on XP nolonger worked - the API actually failed. One of the quickest ways to find problems, is for the development enviroment to be moved from XP to Vista. So relunctantly, I am seting up a Vista Business virtual machine for this purpose. 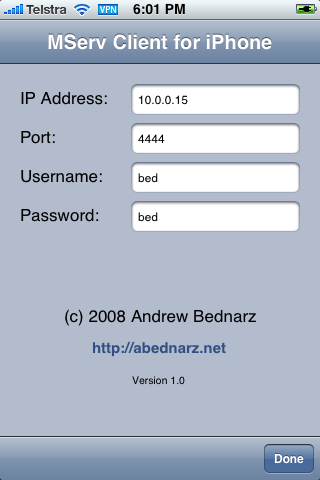 I was quite suprised, however to discover that my Bed's Printer Switcher application works perfectly in it. I was impressed to discover that OSX did this all for me - I don't know if Vista does (it bloody well SHOULD), but if it doesn't at least that will work without fiddling.